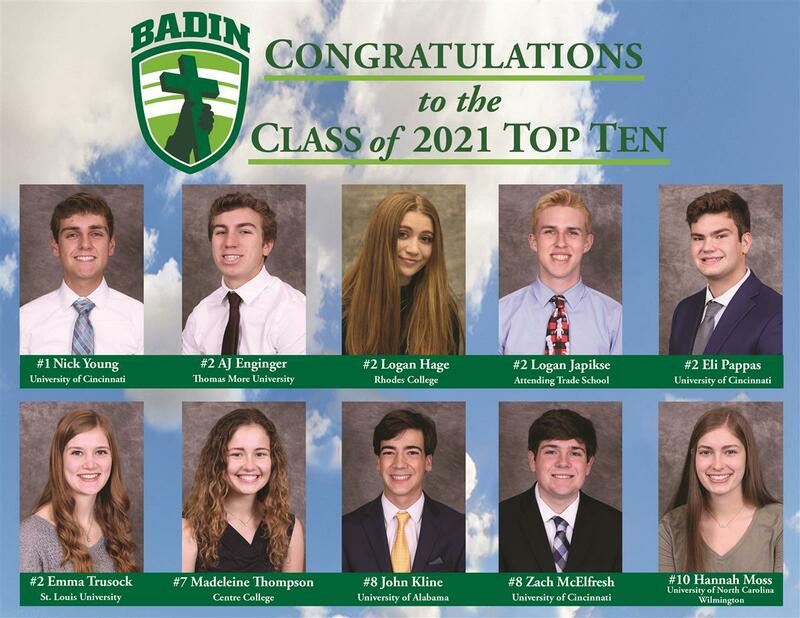 Shadow Days are a great way for prospective 8th grade students to see what life at Badin is like. 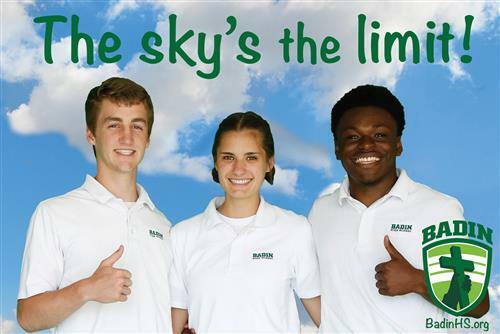 Students will shadow a current student ambassador, attending classes, meeting teachers, administrators & other Badin students, and enjoy lunch in the cafeteria. 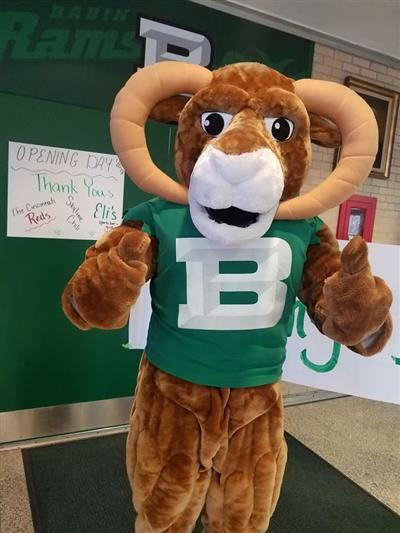 SHADOW DAY DETAILS: Shadow Day times: 7:30 AM – 2:00 PM. We will do our best to accommodate the shadow day of your choice, but prefer Tuesdays, Wednesdays or Thursdays. At least two school days' notice is requested. DROP OFF your son or daughter in the school office 7:15-7:20 A.M. Classes begin at 7:30 AM. 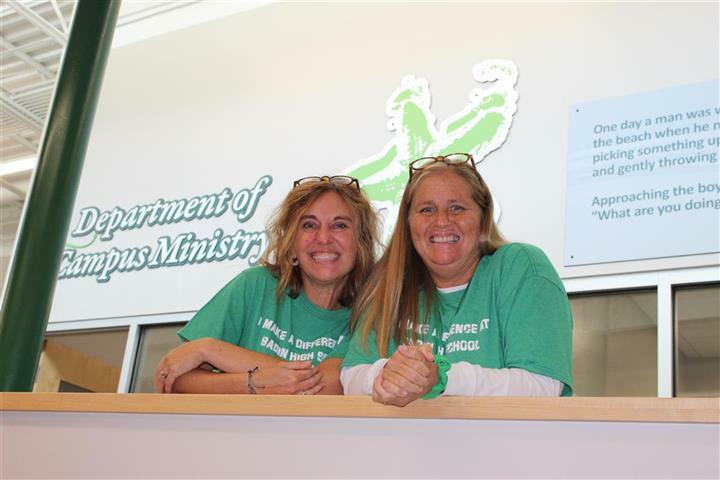 There you will meet our Admissions Director and your host for the day. PICK UP your son or daughter in the school office at 2:00 PM. Mr. Dirk Allen will be there to answer any questions. Please note: Buses begin filling the school driveway around 2:15, so we ask that unless other arrangements have been made, you arrive by 2:00 PM. LUNCH IS ON BADIN! We are excited to have your son or daughter spend the day with us. Each shadow student is given a lunch voucher valued at $4. Students may bring additional money in case they choose to purchase more. SHADOW STUDENTS ARE PAIRED WITH A STUDENT AMBASSADOR for the day . Request for hosts are taken into consideration, but may be denied. Learn more when you speak with Mr. Allen. DRESS CODE: Students may wear comfortable clothing – jeans and gym shoes are permitted. Please no t-shirts, low cut tops, short shorts or short skirts. PARENTS: When scheduling a Shadow Day, be sure to mention any interests (academic or co-curricular) that your son or daughter has so that we may match him/her with a student of similar interests. Shadow Days are on a first-come, first-serve basis. No more than 10 shadows are permitted on one day.